"Criticism: Friend or Foe? is designed to lay the groundwork for correct criticism in Christian ministries. 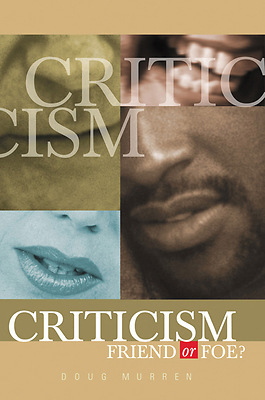 The book outlines how skilled criticism is the backbone of all healthy organizations. It is filled with helpful, encouraging ideas for erecting boundaries against injurious criticism within the church. The author fills the book with dozens and dozens of stories of good and bad criticism. The book offers help for those who have suffered from harsh and destructive criticism. It provides steps in learning how to say no to unhealthy criticism. The reader will come to understand what criticism should be received and what criticism should be rejected.